Here’s a sporty one! 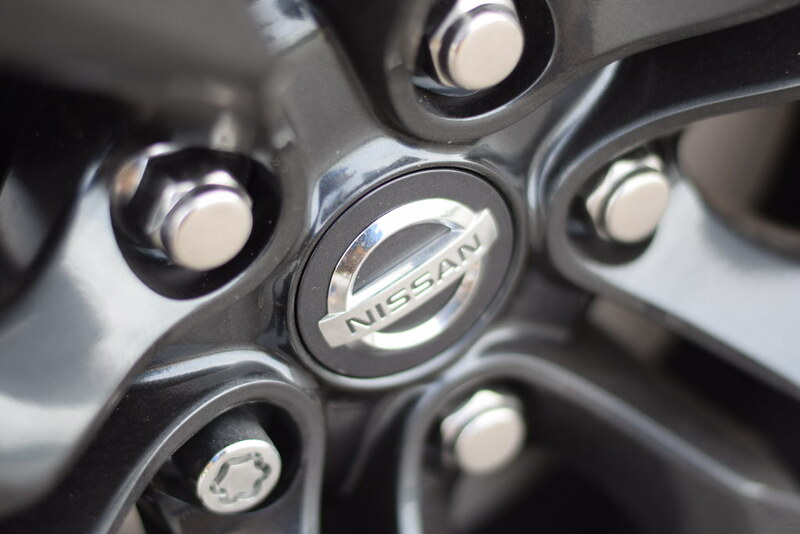 There are numerous reasons to consider a Nissan 370Z for your sports-car dollars, and lately, these include the fact that the latest version of Nissan’s legendary Z car requires less of those dollars to own. 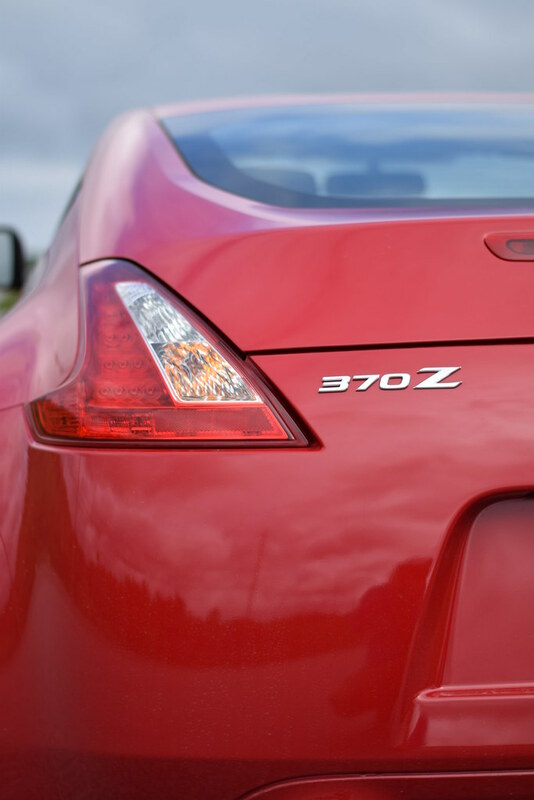 Nissan has lately yanked $10,000 out of the Z’s base pricetag, so shoppers lusting after a highly-affordable and highly-capable performance model can now count the 370Z among their list of test-drive candidates. 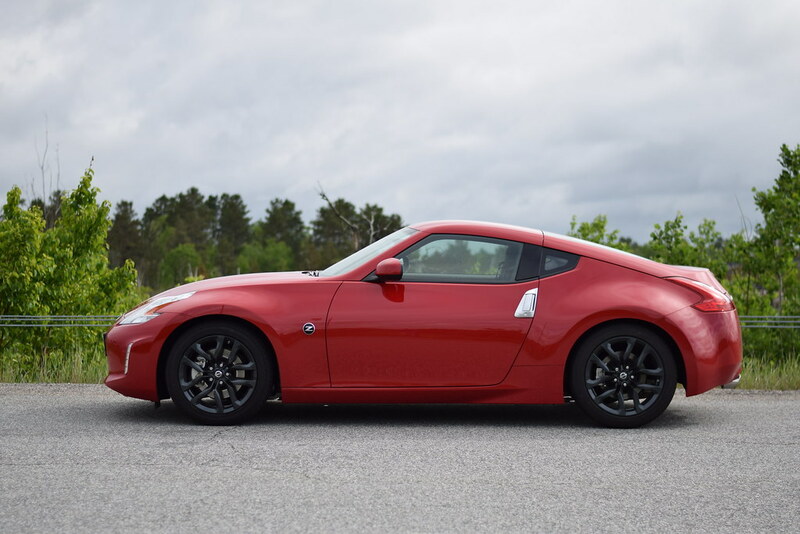 The standard-issue 370Z will now relieve shoppers of just $29,990: and that’s with a screamer V6 engine, a proper six-speed manual transmission, and rear-wheel drive, so you can talk drifting with your buds. Feature content includes must-haves like powerful xenon headlamps, push-button ignition, keyless door locks and a Bluetooth hands-free phone interface. 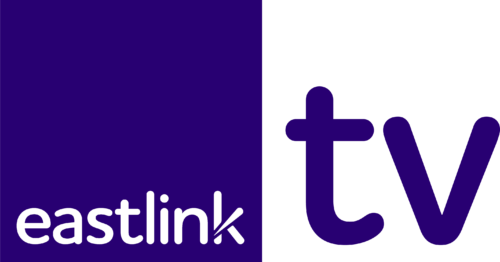 Numerous competitors at this price offer more generous feature lists, but base Z targets a shopper more concerned less with feature content and more with performance and pedigree. 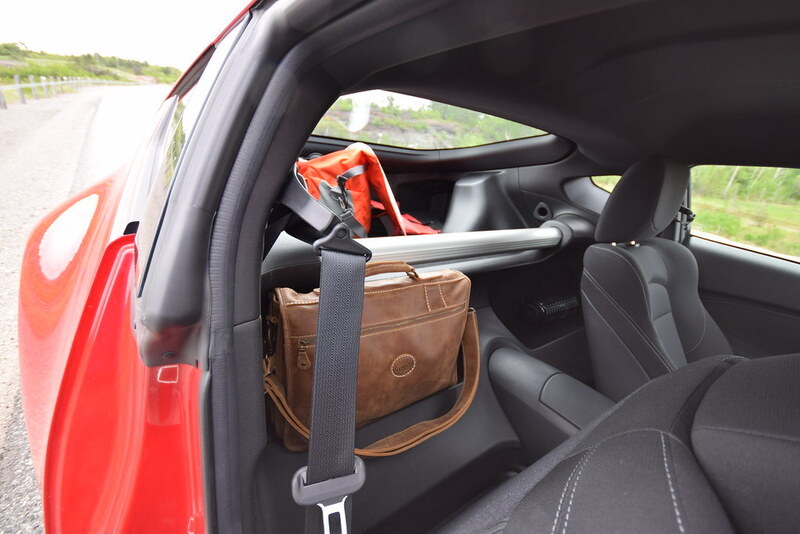 A few reasons why—including the lightweight, sports-car-from-the-get-go engineering, which sees the Z riding an exclusive sports platform, not a commuter-model platform modified with go-fast parts. This is a car designed as, not modified into, a sports car, and it shows. Another big value-adder is mounted beneath the hood. 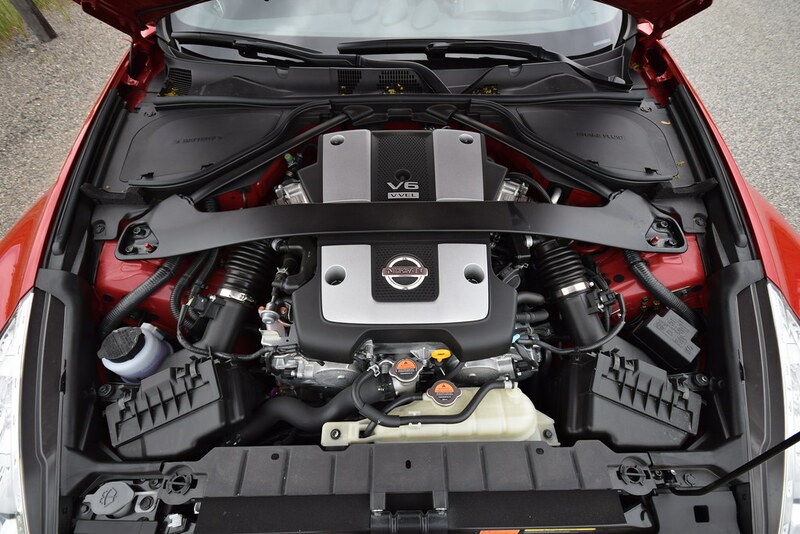 Nissan’s award-winning V6 engine displaces 3.7 litres and outputs 332 horsepower en route to a thrilling 7,500 RPM redline, while offering operation that’s so smooth at times, you’d almost wonder if it was running on butter. 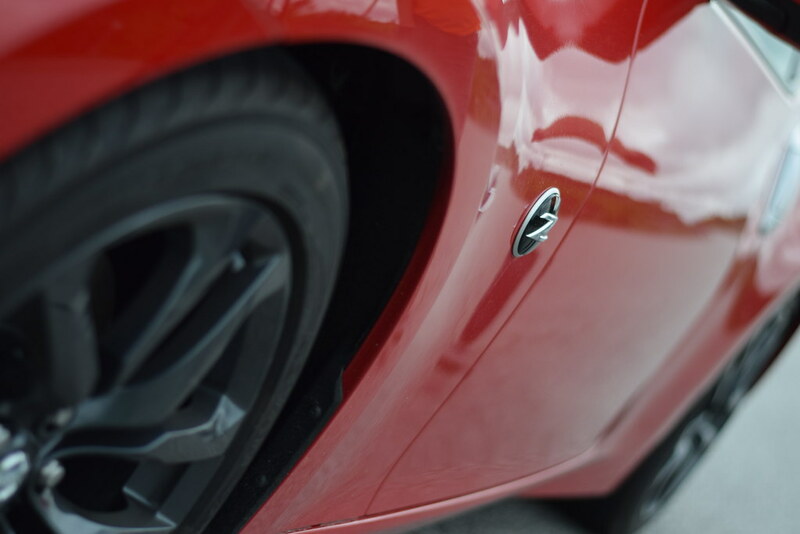 Finally, thanks to decades of experience building machines with performance to rival comparable BMW’s and Porsches, the Z is dialed-in with a level of experience and expertise that shines through with a polished feel to its sports car driving experience. You get a preview of that driving experience before even starting the engine. 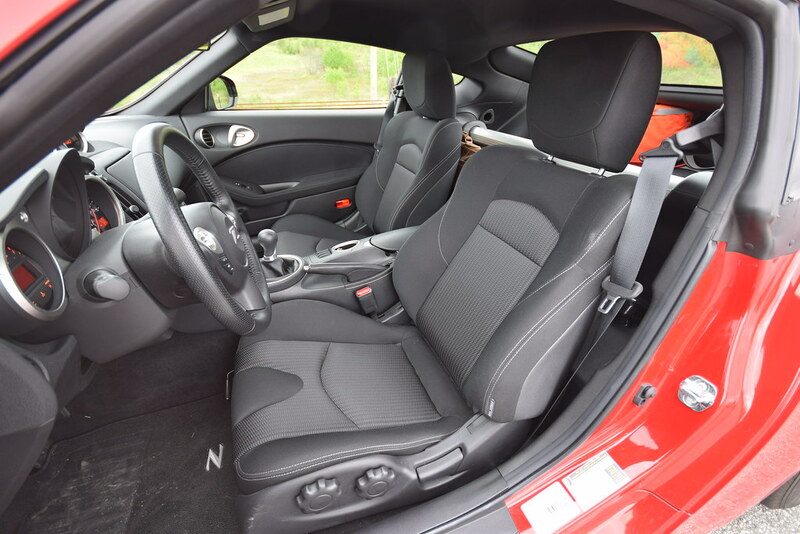 Drivers plunk down deep into the Z’s body, behind the gorgeous centre-mounted tachometer, and into a set of supportive and deeply-bolstered sports seats. The stubby six-speed manual shifter takes centre stage, and the dash mounted instrument pods are all angled towards the driver, for a cockpit-like feel. Visibility out the rear is poor, making proper mirror setup vital, though with the Z’s curves and hips present from your viewpoint inside the car, you’re always reminded of the uniquely dramatic shape that comes as the tradeoff for visibility. 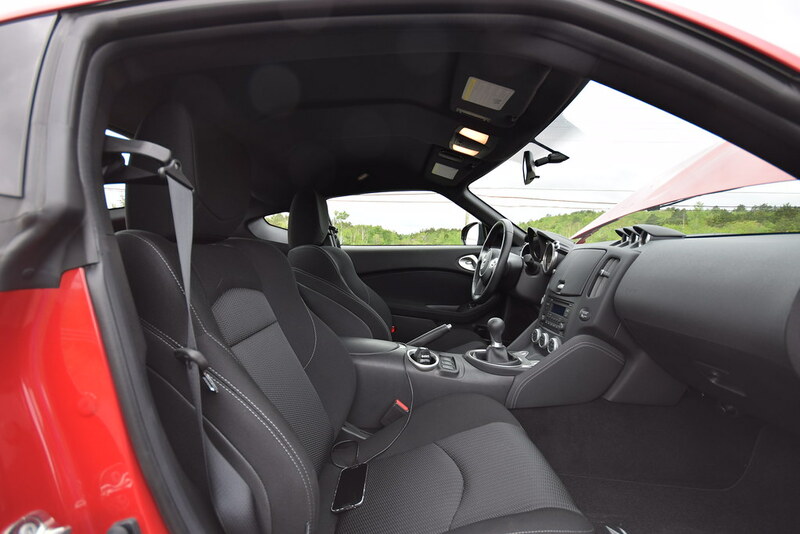 The cabin could get away with being more cramped and uninviting for larger drivers. 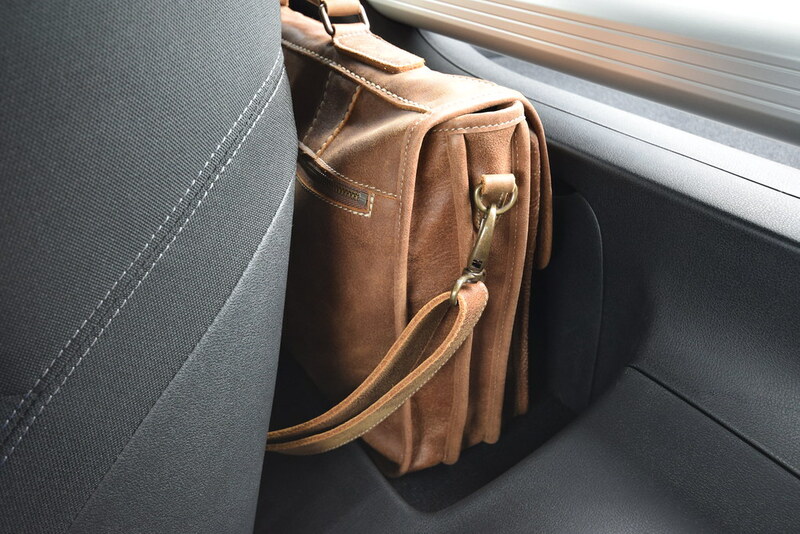 Once seated, room for average sized folks is highly adequate by sports-car standards, and numerous bins, pockets, cubbies and covered compartments provide ample opportunity to keep your things organized on the go. 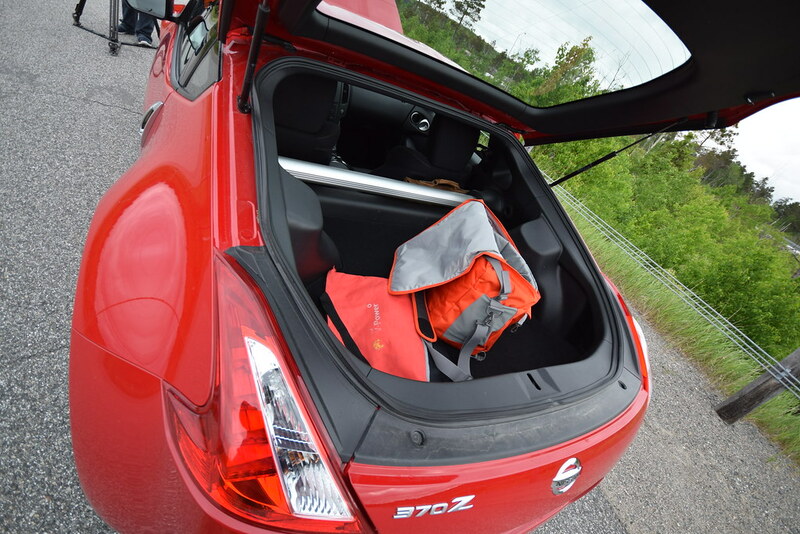 The trunk, though shallow and small, will accept a week’s worth of groceries or a few bits of luggage with ease, too. 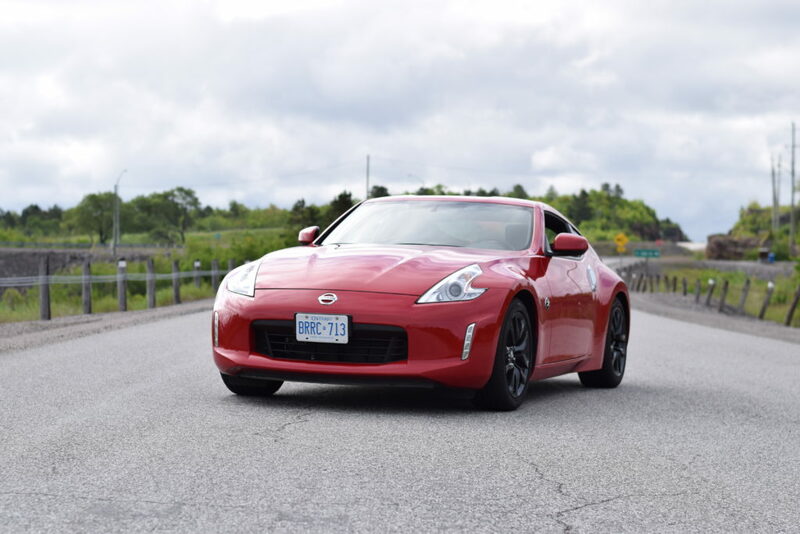 Should a highway cruise be the order of the day, the base-model Z’s standard suspension and wheel/tire combination should satisfy. 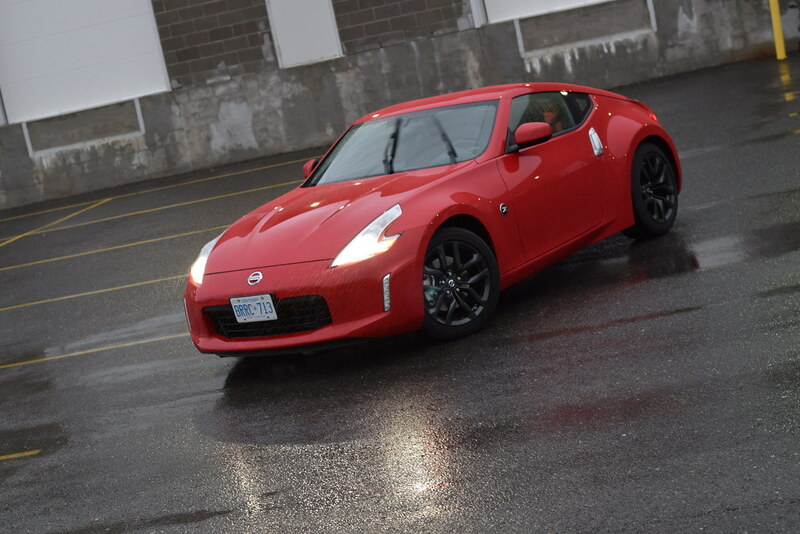 You know you’re in a sports car here, but the Z doesn’t spine-punch you on every bump, and for the most part, ride quality on rough surfaces sees a suspension that feels tough and durable, not flimsy and delicate. Body roll is minimal and bounce and rebound are quick and taut. 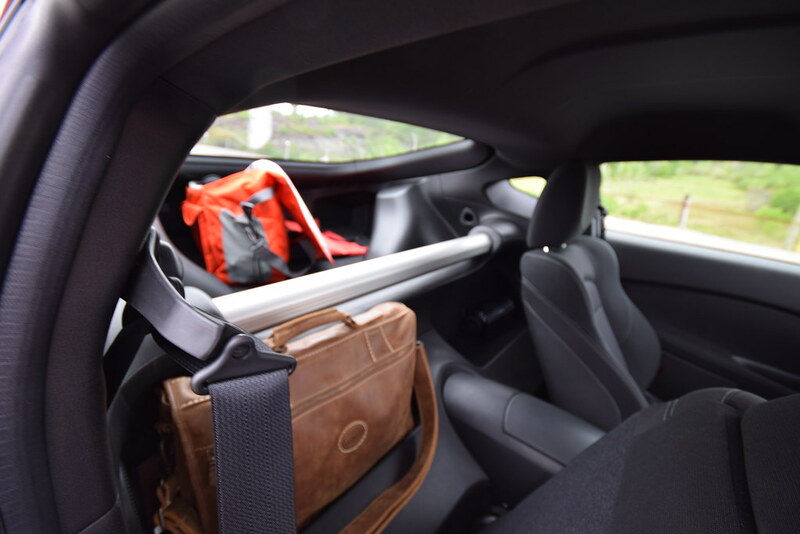 But, despite the overall stiffness, there’s a layer of softness around the edges that helps the Z accommodating on long drives. 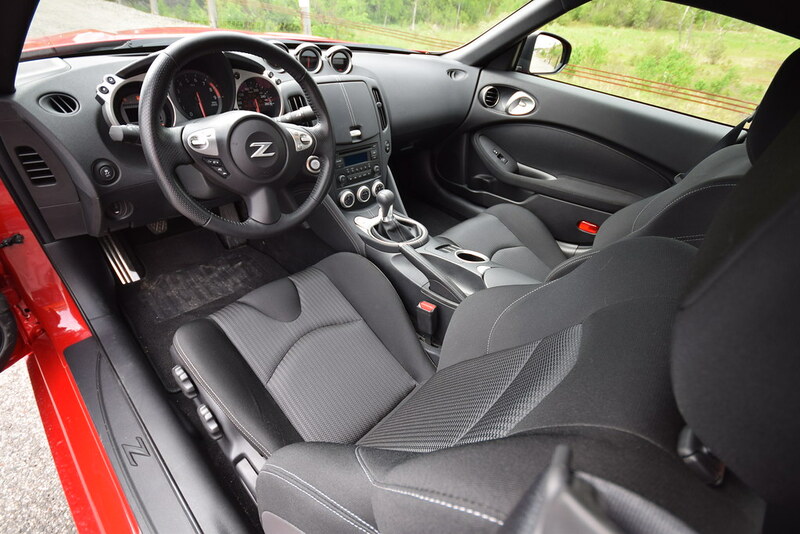 That’s backed by steering that’s relatively quick, but not so much that it makes the Z feel nervous or darty at highway speeds. If you’re using yours mainly on the road, this setup works very nicely. The engine and powertrain are similarly flexible in their ability to shift from relaxed to sporty driving without losing much in between. 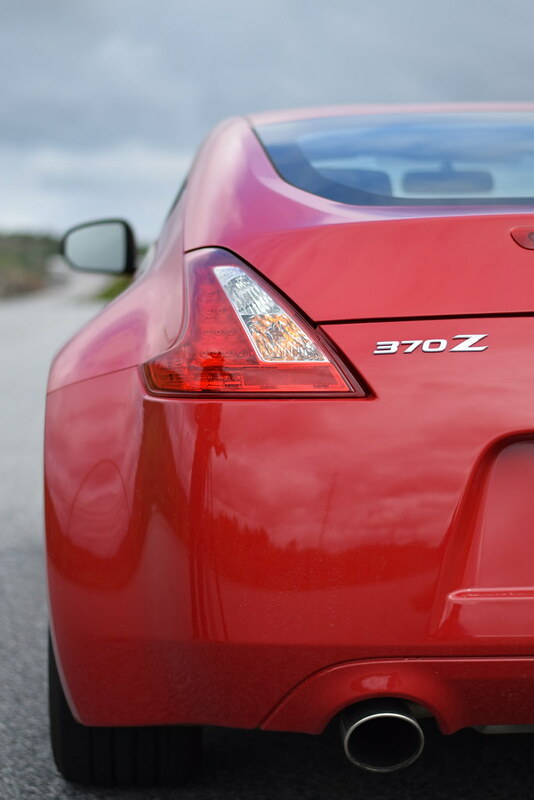 Driven gently, the Z’s engine is quiet, smooth, and operates with an effortless feel. 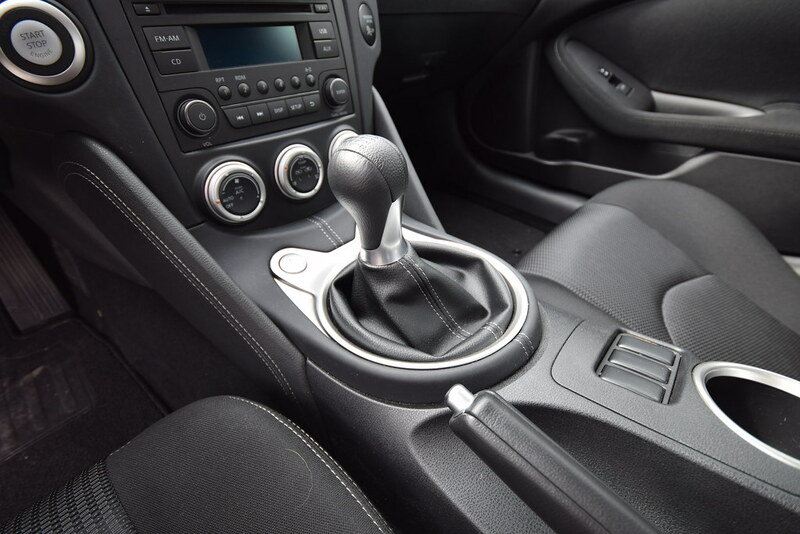 Like the engine, the shifter and clutch feel synchronized to work smoothly when pushed hard, but once you get into the transmission’s rhythm a little, smooth shifting comes easily. Or, open it up, and the trick variable valve timing system optimizes engine breathing, on demand, to turn in plenty of low-rpm response which transitions gorgeously into a screaming, high-RPM surge. 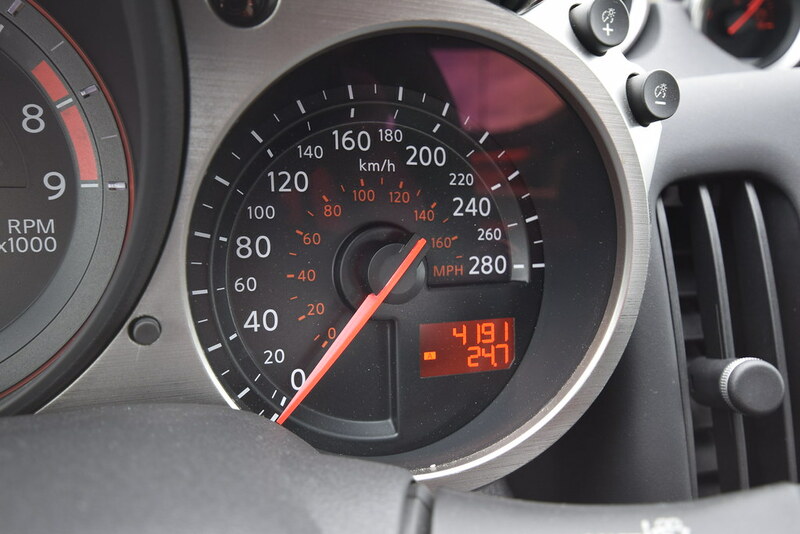 Don’t miss the frantically-blinking shift-light in the tachometer as redline is achieved, requesting that you grab the next gear, right now. 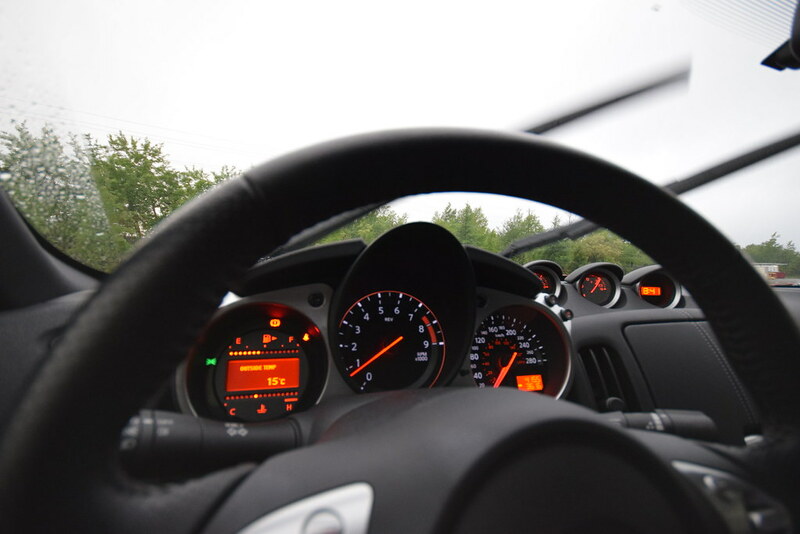 Some drivers will find the clutch and shifter fussy, as practice is required for smooth operation, and wind and road noise-levels climb into intrusive territory at highway speed. 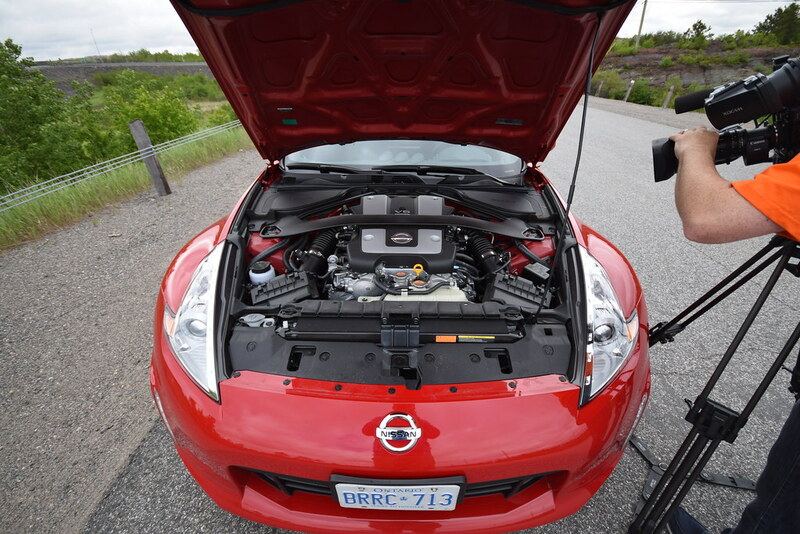 Finally, though the Z’s engine sounds lovely right up near redline, the sound effects elsewhere are ho-hum, so consider adding intake and exhaust modifications to taste, if you’re a fan of sports-car sound effects. 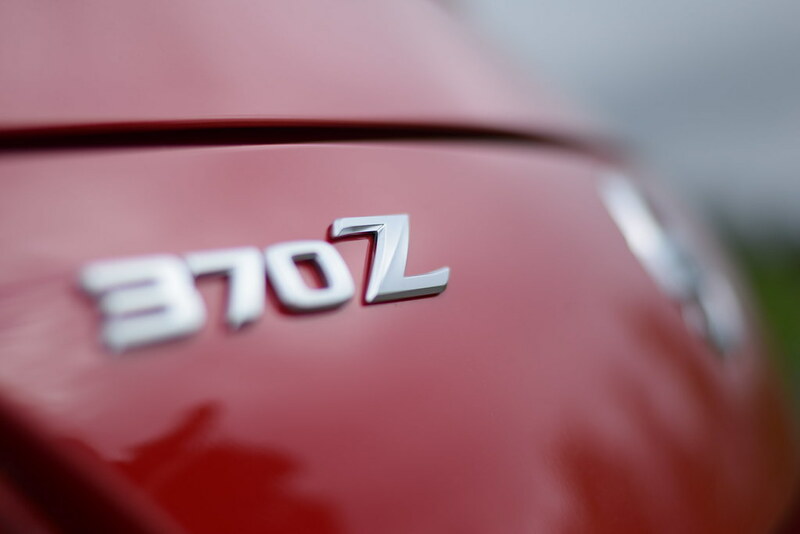 Cross shop the 370Z against comparable models like the Scion FR-S, the Hyundai Genesis Coupe, and the new Ford Mustang EcoBoost. Performance is getting cheaper and cheaper these days, and this segment is a great place to be shopping.